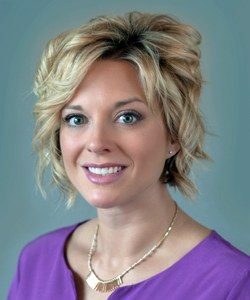 Dr. Jaime Seeman was born and raised in Nebraska, growing up around Lincoln, NE. She attended the University of Nebraska-Lincoln where she was a collegiate athlete for the Cornhuskers receiving many awards and honors. She has a Bachelor of Science in Exercise, Nutrition and Health Sciences and has a special interest in this area. She then received her Doctor of Medicine degree from University of Nebraska School of Medicine. She completed her residency in Obstetrics and Gynecology at the University of Nebraska Medical College serving as a Chief Resident. Dr. Seeman takes care of women of all ages with a full range of gynecology and obstetrics in her experience. She really enjoys taking care of pregnant patients and offers care including low risk, non-intervention pregnancies and high risk as well. VBACs are welcomed in her practice under current guidelines. She offers minimally invasive surgery including Davinci Robotic surgery, Geneveve by Viveve, and in office procedures.